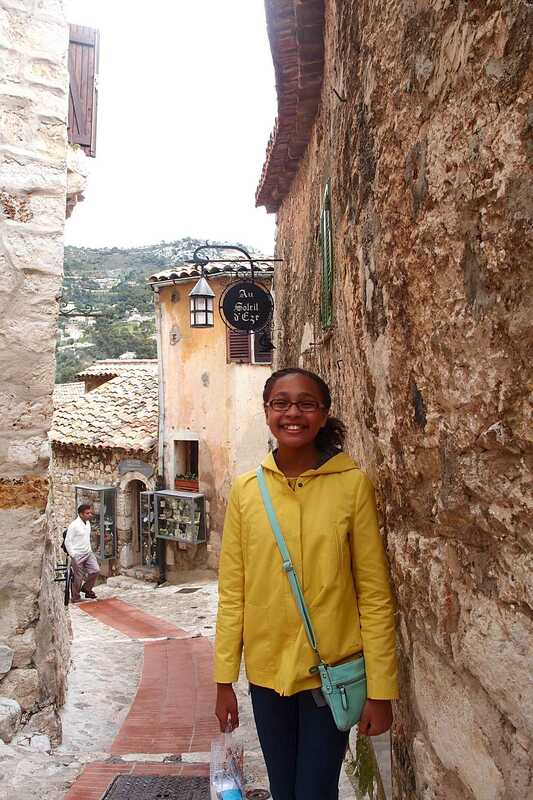 During our vacation in Côte d’Azur my daughter and I had a great time exploring Antibes and Juan-les-Pins and hiking Le Sentier du Littoral, Cap d’Antibes, but we still had more to see. 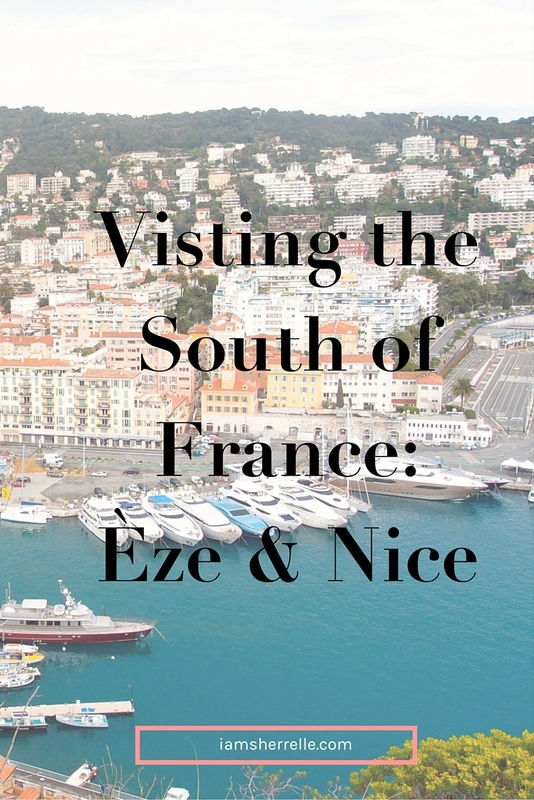 Next up for exploring South of France: Èze and Nice. It was raining and very cool the day we decided to go to Èze, but we grabbed an umbrella and figured that rain meant less crowds. From Antibes we took the train to Èze for 18€ total; that was easy. The next part was not so easy because we didn’t know what number bus to take to the village. Lucky for us there was a Pakistani student also at the bus stop who had been to Èze village before; her father was visiting and she was taking him on a tour. We boarded bus #83 with them and headed up the mountain. Because it was still raining when we got to the village, we followed our new friends to Fragonard for a perfume tour. The tour is short and interesting with a “smell experience” at the end, but really it is to get you to buy perfume in the exit gift shop. Do the tour anyway knowing this and don’t buy if you don’t want to. We bought a sample set to share and some cute duck soap for my daughter’s bathroom. After the perfume we were greeted with no rain and blue skies so we started our walk through the village. The walk is all uphill through this small medieval village, but very doable. 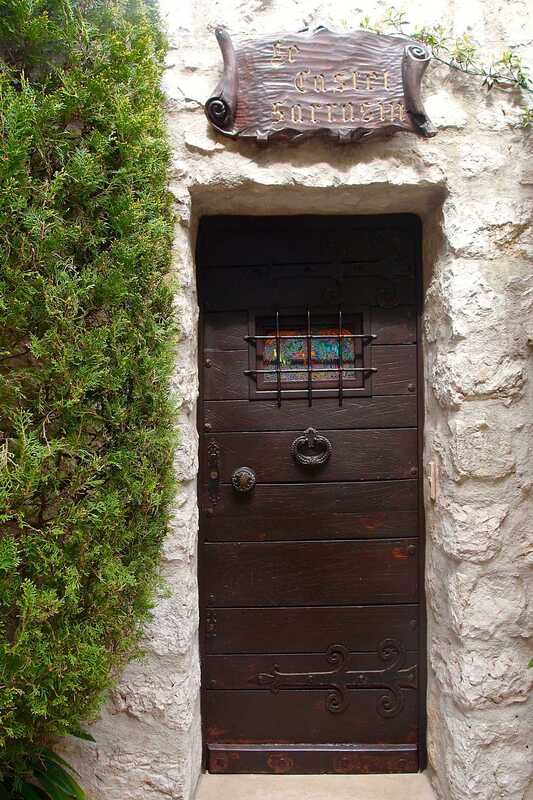 The village is very charming; there are boutiques, art galleries and houses along the way and once again I got some great photos for my collection of French doors. We had at lunch Le Nid d’Aigle. Here’s a tip: You think that you want to eat outside on the terrace, but trust me, you want to eat inside by the window where you will have the most incredible view. And order the omelet. Right there at Le Nid d’Aigle is the entrance to Jardin Exotique d’Èze. I was skeptical that 6€ for was worth a tour of a garden because the way it is made, you can’t see anything until you enter the gates. But I had come all that way, so we paid. The garden is definitely worth the price of admission, but the panoramic view of the coast is priceless. We spent a long time in the garden, wandering around and enjoying the incredible scenery. After the garden we walked back down through the village to Eglise Notre-Dame de l’Assomption Èze and lit some candles. 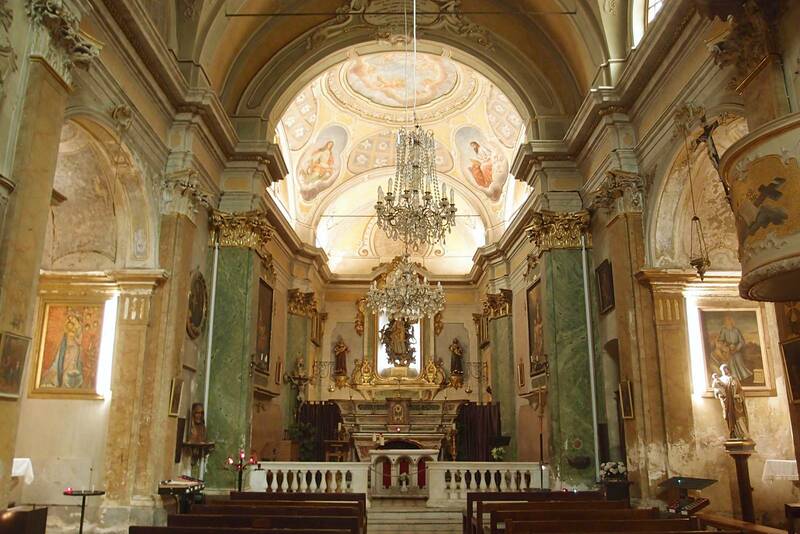 This church is absolutely beautiful with a baroque interior. There’s also a small cemetery nearby, which I found historically fascinating, but my daughter found creepy. When going to Éze Village from the train station in Éze, take bus #83, but time your train arrival; the bus doesn’t run that frequently only every hour or so. 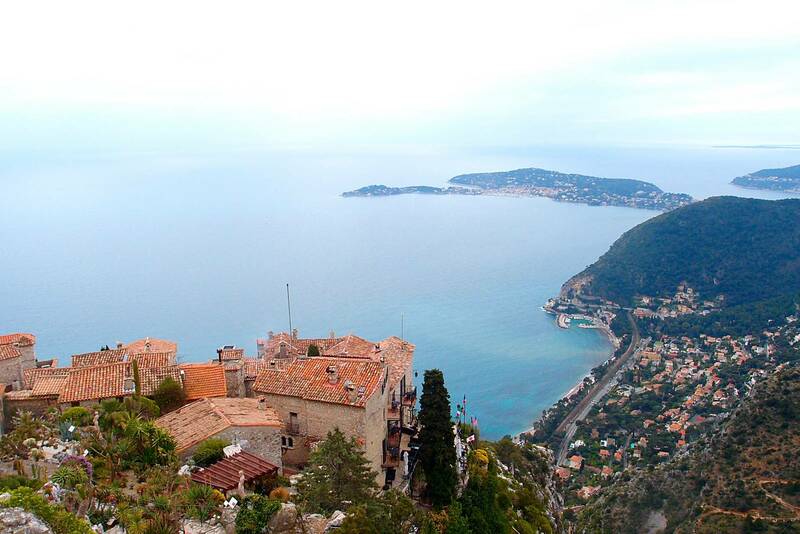 You can also take the #82 or #112 bus from Nice directly to the village. The bus is 1.50€ exact change. It’s an uphill climb through the village on cobblestones. It’s doable, but wear sturdy shoes. 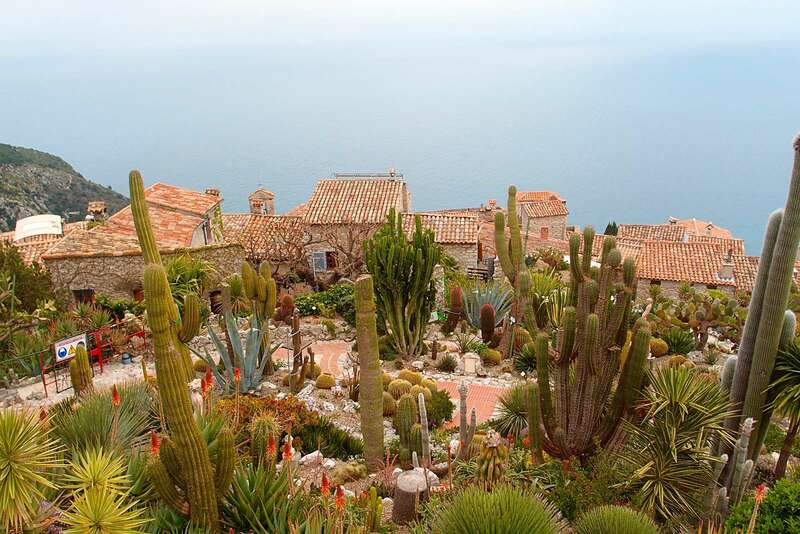 Pay to enter Jardin Exotique d’Èze, it’s worth it (children under 12 are free). Find the lounge chairs near the top and stay awhile. The Fragonard tour is free. This is also be a good place to buy gifts for family at home, but look around the boutique first; there are many inexpensive gift items like soap and perfume sample sets. Before leaving Èze village I got a map of Nice from the tourism office and some candy for the ride because well, candy always. 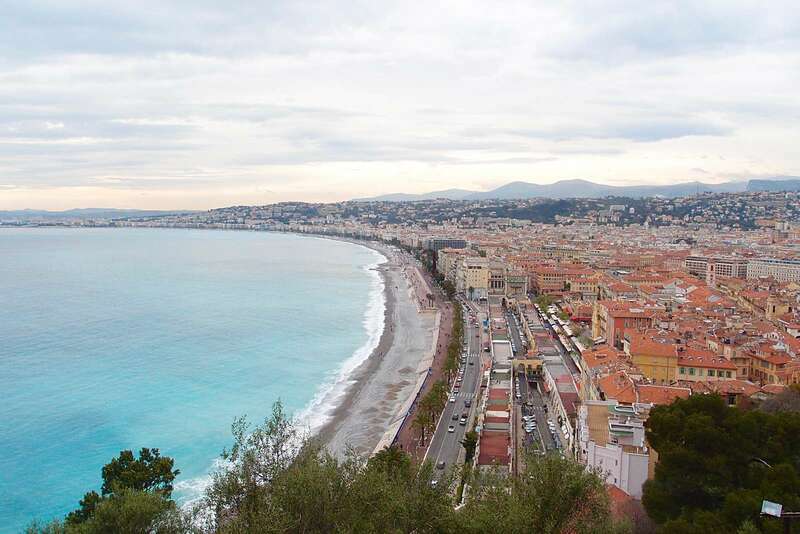 We took the #112 bus to Nice, ready for our next adventure. 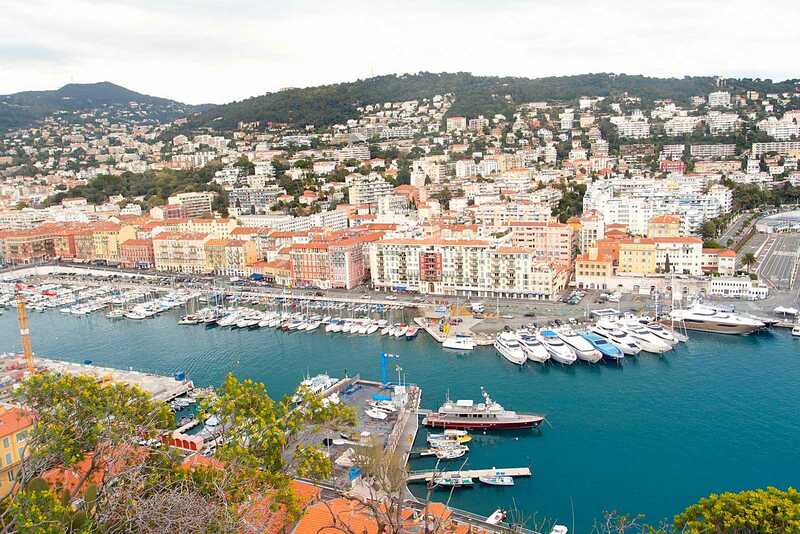 We didn’t have a plan for touring Nice – we didn’t even know where to get off the bus – but we when pulled into Garibaldi Square, it looked a good place to disembark. With absolutely no idea where we were, we found our way to Vieille Ville (Old Town). Like the old part of Antibes, it was fun to just wander around, in and out of shops, up and down alleyways. I did make a point of going to Charles Félix, on the far east end of cours Saleya, to see house #1; it was the home of one of my favorite artists, Matisse. We did have one item on our list to try, Fennochio, which was supposed to have great gelato in many flavors. We found the gelateria and true to the reviews, it was very good. 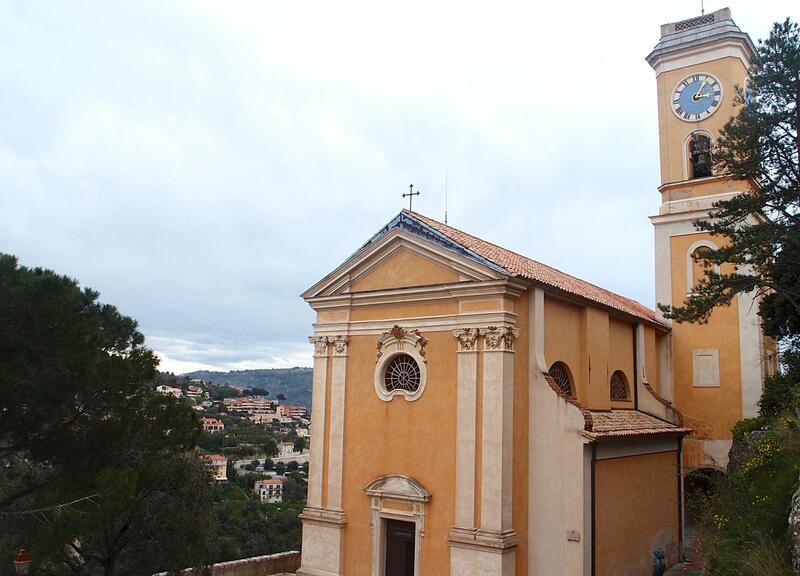 Nearby is Église-Saint-Jacques-le-Majeur de Nice, a beautifully baroque church, and we took a quick tour. I do love a beautiful church. After wandering around Vieille Ville we went to , a hilltop park accessible by elevator from the east end of promenade des Anglais. There is a playground and my daughter climbed a structure for at least an hour; she called it the Eiffel Tower. While I watched her climb I took in the gorgeous view of the Côte d’Azur, snapped some photos and chatted with some Emory students from Atlanta. Well after that incredible view we had to see the beach up close, so we walked along the ocean promenade and onto the beach, Opéra plage. The beach was actually blocked off with caution tape, but like everyone else there, we ignored it and ducked under. It was too cold and the surf was too rough to get in the water, but it was fun to be on the beach anyway. Now it was getting late and time to find our way to the Nice train station, stopping at a McDonald’s McCafe for a macaron (because we must test all macarons in France). The walk to the train station was far. In the main part of town we saw a tram and confirmed with some locals that it stopped near the train station. By reading the signs we learned that the tram only takes exact change or a ticket, so we figured out how to use the ticket machine just in time; the tram was coming down the street. We ran on the train, barely making our departure time – only to be delayed for an hour. No one knew why the train was delayed and people were getting antsy, getting off and smoking on the platform. There was a group punk rock teens with 2 dogs on the train playing really loud punk rock music; they made for interesting people watching while we waited. We also chatted with 2 older Dutch ladies on the train who did not understand French and kept asking me to translate what was being said over the loud-speaker. We saw them in Juan-Les-Pins the next day and chatted some more. As you can see in all my posts about the South of France it’s good to have a loose plan and maps on hand, but it’s also good to wander and explore off the path. Talk to people. I don’t usually do that – my husband is the one who will talk to people on the plane and in line at Disney World, learning everyone’s life story – but without him I was surprisingly chatty with strangers. I asked people for directions (in French! ), chatted with restaurant neighbors (the tables are so close we are practically on a date), asked locals about their favorite things to do in the area, gave directions to other tourists, had conversations on the trains and buses, took photos for people, exchanged pleasantries with shop keepers and joked with the waiters. I’m glad that my daughter got to see that while traveling internationally is certainly not easy – the language barrier, navigating different customs, getting lost (always lost!) – if you keep your eyes open, your mind curious and your heart adventurous, it is worthwhile and a very rich experience. 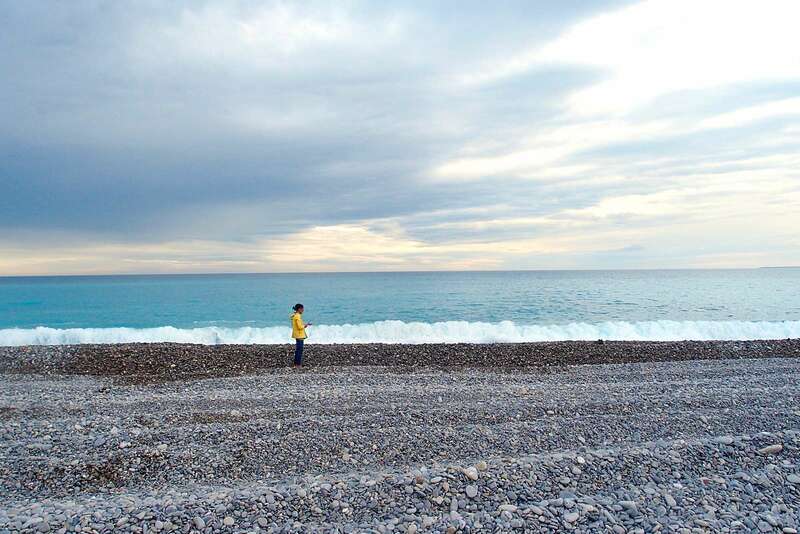 I hope that I have inspired you to go to the South of France; I know that I can’t wait to go back! The train that runs from Cannes to Italy is called the Marseille-Vinitmille line. Sometimes the train may not provide the most direct route, taking a bus might be better. Get the bus routes and schedules from the bus station – they do not run often so be sure of the time you want to go and get there at least 10 minutes early because sometimes they come early. Have exact change for the bus! 1-1.50€. Get a map at the tourism office; each town has one. It was a 20 minute ride to the Nice airport with a private driver (on a Sunday). The car was 55€. And most important of all, there is a Ladurée in the Nice airport right near the entrance. P.S. 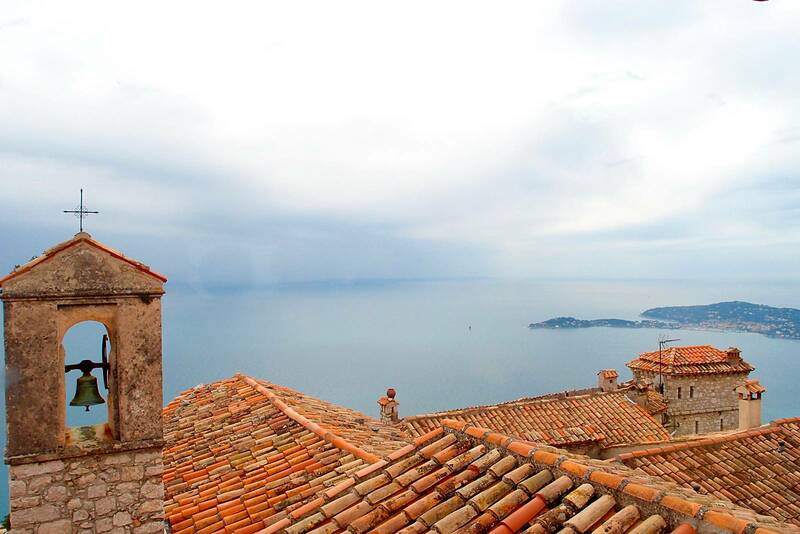 You may also like to read more about the South of France.